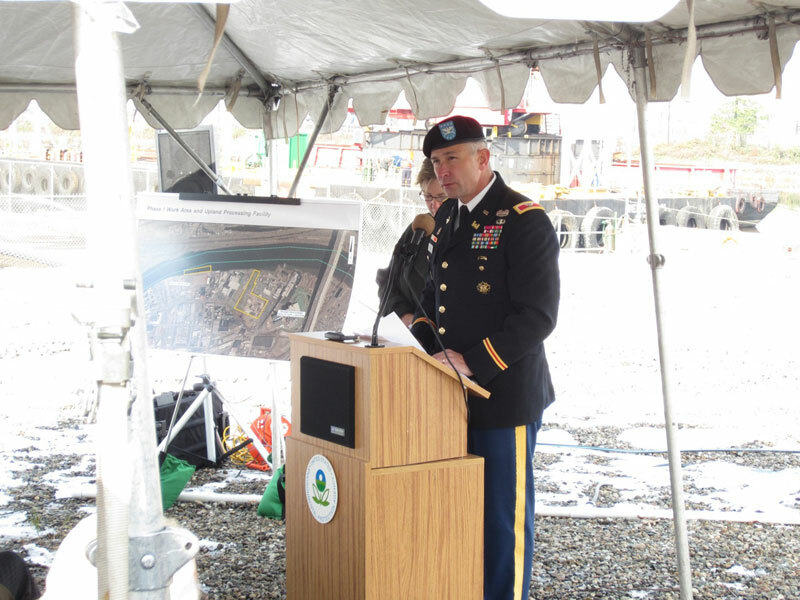 On Halloween, the Environmental Protection Agency (EPA) held a press conference to mark the start of remediation of the bed of the Passaic River adjacent to the former site of the Diamond Shamrock factory. 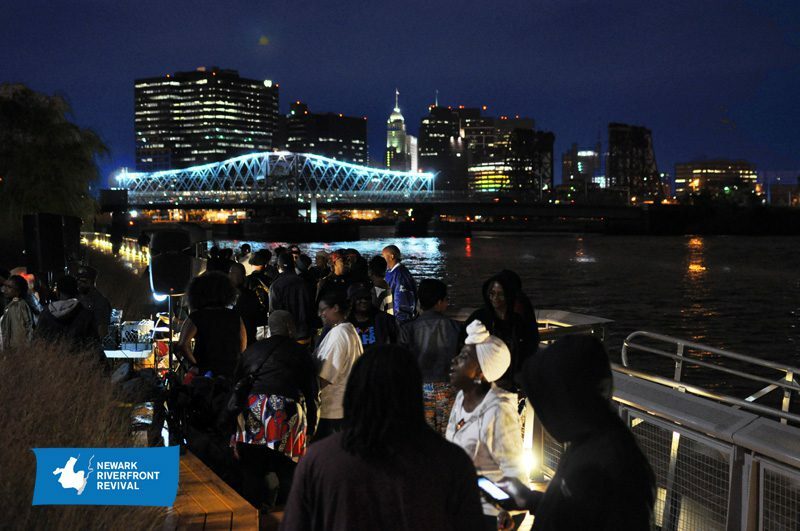 Read more about the EPA’s Lower Passaic Restoration Project here, and the recent New Jersey Superior Court ruling on the Passaic River clean up here. 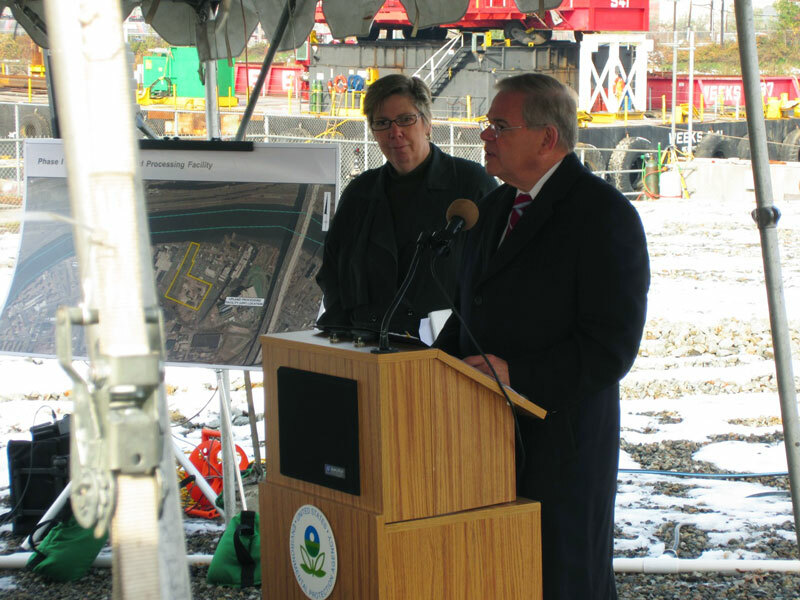 Senator Robert Menendez with EPA Region 2 Administrator Judith Enck and US Army Corps of Engineers Colonel John Boule. 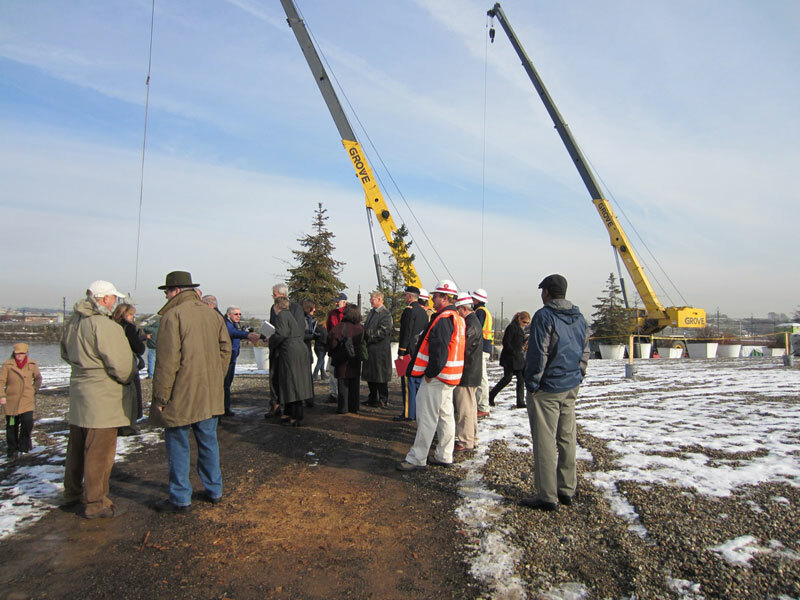 This entry was posted in Building Things, Riverfront News on October 31, 2011 by NRR.